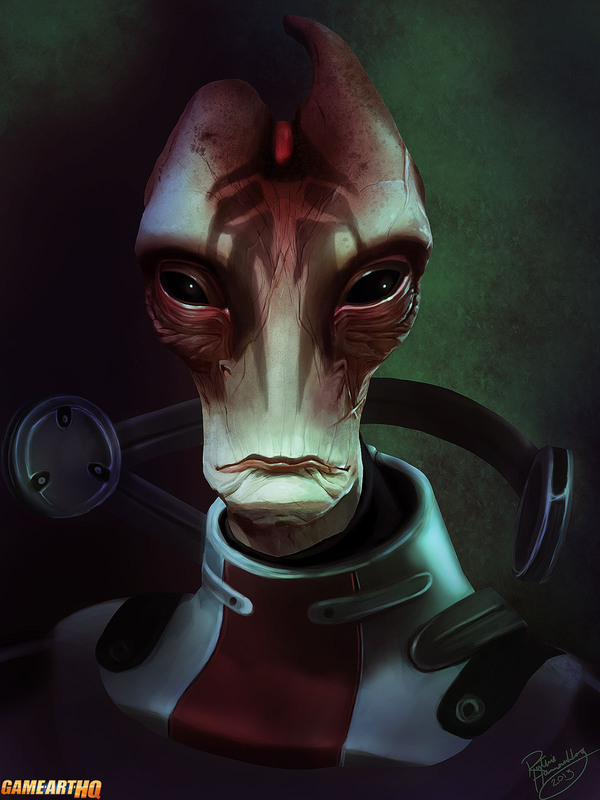 Okay, from all the Mass Effect characters i have seen so far through the fan art this guy by the name Mordin Solus looks the most interesting to me, probably because i see something wise in his face (i don’t know the character and in this case i did not research any infos about him yet) and he reminds me a bit at good old E.T as well as the oldschool image of Aliens landing on earth, having black eyes and all that. This is another entry from the Mass Effect character portrait series by Ruthie Hammerschlag who will be interviewed about these images soon. You can enlarge the artwork by clicking on it!